Yoga gives you strength--that strength which is already within you. For fitness, flexibility, freedom & fulfillment. Just like you might work with a personal trainer to address your specific needs, a personal yoga program helps unlock your unique potential. What you need in your yoga program, may be drastically different than the person on the mat next to you. A Personal Yoga Rx Program is effective, efficient, and profound for creating change. 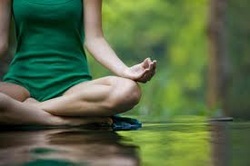 meditation and more to address your needs as a student. goals - making what was unconscious more conscious. Group yoga classes are a modern phenomenon, that require generalization. Originally, yoga was taught teacher- to-student, because what you need is drastically different than the person on the mat next to you. A personal practice was a prescription for health and wellness of the highest order. In the Yoga Prescription Program, we return to this deep tradition, applying finely tuned techniques that efficiently address your specific concerns and goals – whether they be flexibility and strength, vitality and energy, or improved digestion and sleep. With posture, breath, and meditation, we give you only what your need -- drawing from a large range of practices that meet different needs. Armed with the right tools, you'll find the peace of mind, as well as peace of body, you've been looking for. Ideal for both beginners and advanced practitioners, this program can take you from where you are to where you are meant to be - balanced, free & fulfilled. Our goal is to not only give you the tools unwind, relax and stregthen, but also to make sure you can apply them skillfully with ease and confidence. Over a six week period, we develop your personal practice. Each week we review techniques from the previous week and add another piece that complements and builds upon your practice. Based on our understanding from Week One, we put together a sequence of specific postures that efficiently and effectively meet your needs. Postures purify, stabilize and free the limitations of body and mind. The breath has the power to change EVERYTHING - energy level, emotional state, brain chemistry. In week three, we weave specific breathing techniques that complement your sequence of postures, to bring greater harmony to all layers of our body and mind. With the body and breath open, we can turn our attention to those more subtle practices that skyrocket our practice into the next realms. Here we learn to direct our attention into the places that are needed for better health and vitality. * You can be at any level to start a personal practice. *We design the practice to fit YOUR life, based on your available time, interest and level of experience.